I’m happy to arrive in Ghana, the first African country of our virtual trip around the world of Wiki Loves Monuments. Only some hours ago the enthusiastic Rexford of Wikimedia Ghana announced the finalists of his country. 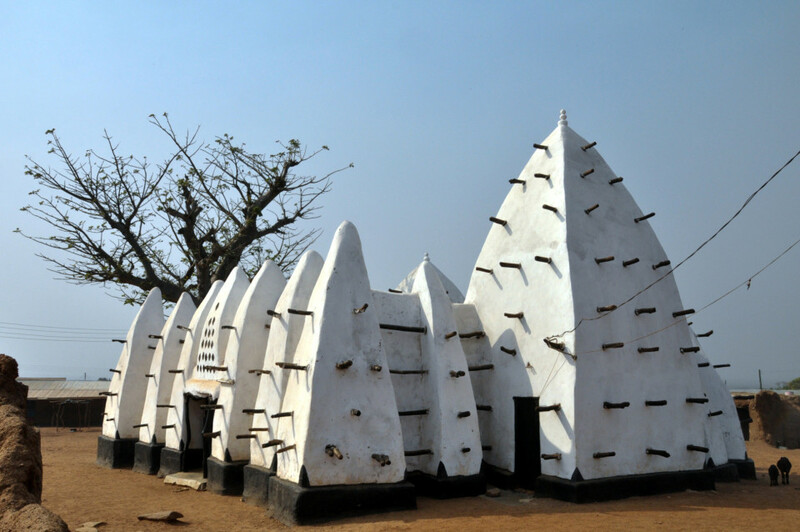 The first place image stands out from the other images with castles and forts, as it shows the Larabanga Mosque, a cultural heritage object of Ghana that was placed on the 2002 World Monuments Watch and successfully saved from decay. Wikipedia fun fact: Wikipedia has articles in four languages about this mosque: English, Spanish, Kinyarwanda, official language of Rwanda, and Hill Mari, an Finno-ugric language spoken in some districts of Russia. Who extends them and writes articles about this interesting object in their native language? Wikimedia Ghana helped making Wiki Loves Monuments truly international this year, and we are looking forward to have you in the contest next year again!